First of all, I hope all of you had a Merry Christmas and got all of the things you wanted and the same goes for any who don’t celebrate it. I did get the Black Sabbath “13” album and am looking for an excuse to go out in the car so I can play it. Also, I might have gotten another CD from my daughter but I won’t see her until Sunday. Fleetwood Mac has always been one of those intriguing, controversial bands who put out some great albums in the 1970s and 80s. Most everyone knows of their best known “Rumours” album and a good many can say the same for the follow up “Tusk” album. Both are great albums and probably one of the reasons they put out a live album on the wake of the previous two. Much of the material from the mentioned studio albums is to be found on “Live” and for good reason. Those albums gave us so many great classic songs. 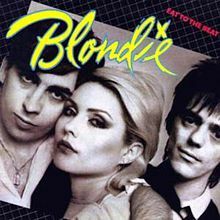 For me, however, and this will be an ongoing theme for me throughout the tour of 1981, it had some personal meaning in my own life at the time. One of my comrades in arms bought this album at the PX in Rota, Spain just before we sailed back to the USA. It got played a lot on the voyage home and it was this album that made the trip home a lot easier. 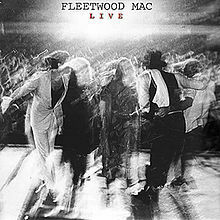 Fleetwood Mac “Live” not only had great musical memories, it also gave me one small regret and hearing again after so many years brought it back. That regret is the fact that I never saw them live. 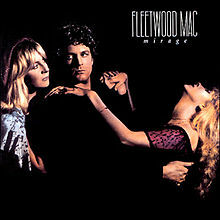 Listening to this album, I can safely say that it would have been totally awesome to see Fleetwood Mac in concert. Not just the great songs on it, but the energy they put behind each of the songs they play. I have always said the Lindsey Buckingham does not get the respect he deserves as a guitarist, his efforts on the live album are proof of that. I mean, the man can play. Of course, the rest of the band are all very good on the album. While, the album is heavy laden with songs from “Rumours” and “Tusk,” there are some classic gems from Fleetwood Mac’s past that pop up on the album too. I absolutely love the live version of “Rhiannon” and “Landslide” is nicely done as well. Then there is the live version of my all time favourite Mac song, “Go Your Own Way.” If there is a heavy metal cover of this song anywhere, someone please let me know because I would love to hear it. This song would sound fantastic if it was metallised. Saying that, if I have to pick out one personal disappointment about “Live,” it’s the absence of “The Chain” on it. I would have loved to have heard John McVie play my all time favourite bass line live. By way, I have heard Shark Island’s cover of said song and it is done well. My fellow music blogger Every Record Tells a Story recently posted his view of the top ten double live albums. This album wasn’t mentioned. I’m not saying that it should be in the top ten of any double live album list, especially against the albums ERTaS lists. However, this album is worth a definite mention as a great double live album. 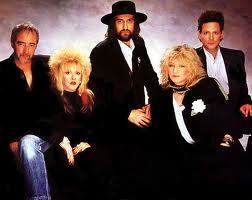 For me, it will forever be the closest I ever get to seeing Fleetwood Mac live. After more than two years since Fleetwood Mac had made what many called the album of the 70s’ “Rumours,” the follow up album “Tusk” was released. Because “Rumours” was such a big album, many listeners were expecting another blockbuster album. Being one of those people, I was at first rather disappointed when I first heard “Tusk.” The album lacked the great rock outs such as “Go Your Own Way” and “The Chain,” which is still my favourite bass line of all time, that were on the “Rumours” album. “Tusk” presented itself as a more mellower easy listening album. It took me a couple of listens, but eventually “Tusk” began to grow on me. There are quite a few good songs on it like “Not That Funny” and “Think About Me” and while it might not be an album I would listen to on the way to a metal concert, it is one that I would listen to coming home late at night from one. The softer rock on this album is still of a good quality. While its not as magnificent as the highly recognised “Rumours” album, “Tusk” is still a good album nonetheless. You may not bang your head away to any of the songs, but it’s a good listen when you need to wind down or other related activities. 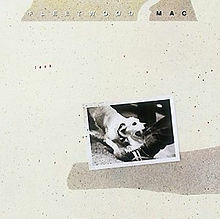 This album was one of the most expensive albums to make at the time and it is believed that because Fleetwood Mac were at the height of their popularity, the ego factor got involved in making this album. I don’t know about all that, although I wouldn’t be surprised if it was true.